Mission Beach Australia is a popular destination. Mission Beach is one of the most popular backpacker destinations in Queensland. A bit like Byron Bay in New South Wales, it's colourful and laid-back, and it's all about relaxing and having fun. Once you have got enough of relaxing, you can catch a ferry to the Great Barrier Reef or Dunk Island. Mission Beach rainforests are known as the best place in Australia to see the famous cassowary in the wild. Here is some information about Mission Beach bars and motels, what there is to do and in the end of the page is a map of Mission Beach. Mission Beach Australia. Poster by AllPosters, click on thumbnail to buy. 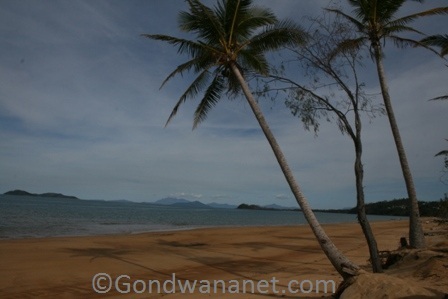 As you travel along the coastal Bruce Highway in north Queensland, there are two turnoffs to Mission Beach: the northernmost one is in El Arish, and the southernmost one is between Tully and Mount Tyson. Also, Mission Beach is bigger than just a beach. 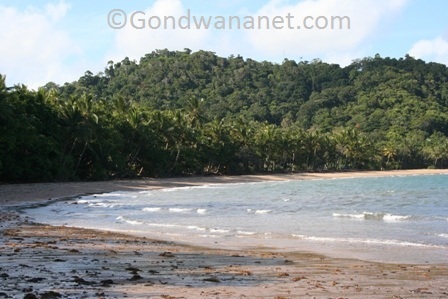 It consists of a few different beach communities, the central one is actually called Mission Beach. Views from the beach. Poster by AllPosters, click on thumbnail to buy. Central Mission Beach is the largest of the beach communities, with a Tourist Information Centre, a post office, an ATM, and the greatest range of shops and eateries. The beach is lovely, although the beaches of north Queensland are not surf beaches (because of the Great Barrier Reef stopping the winds); and during the summer months (October – April) there are poisonous jellyfish in the water so you are restricted to swim inside stinger nets. There are also a few markets in town, and you can skydive with Jump the Beach, or go kayaking with Coral Sea Kayaking. Along the coast there is the Ulysses Link Walking Trail and Cutten Brothers Track, where you can see some rainforest animals. Places to stay are Hideaway Holiday Village, Botique Bungalows Bed and Breakfast, Castaways Resort, Eco Village Resort, Mackays Motel, and Mission Beach Caravan Park. Cassowary sign. Poster by AllPosters, click on thumbnail to buy. Just north of the Central Mission Beach, in the southern end of Narragon Beach is the Clump Point Jetty – the place to catch a ferry to Dunk Island. Dunk Island is not a coral cay where you can go and see a lot of coral reef animals, but it is an island with some beautiful blue-water beaches and an excellent bushwalking track which takes you around in the lush Dunk Island National Park and to some great lookouts, beaches, a swinging bridge, a writer’s grave and an Artists’ Colony. 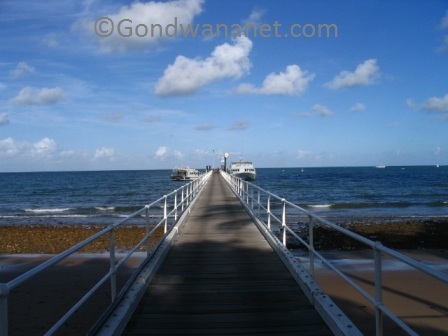 At the Clump Point Jetty, you can also go on a Great Barrier Reef trip. Back in Mission Beach, further north is Bingil Bay – another little community with a nice beach and some bushwalks in the Clump Mountain National Park. Here you can go kayaking with Morning Sea Kayaking, and stay at Bingil Bay Backpackers Resort, North Bingil Bay Camping, and furthest north, in the Treehouse – a lovely backpackers place to stay, with the only downside that it is a little far away from the central activities. 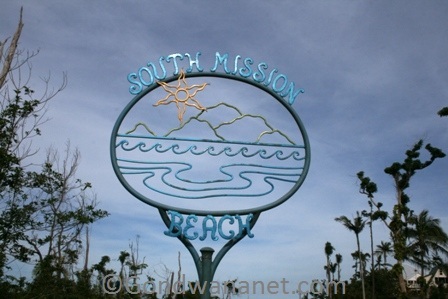 South of the central Mission Beach is Wongaling Beach – a community larger than Bingil Bay, with a bus stop, a few shops and eateries, and a beach equipped with electric barbeques. Inland from here is the Licuala walking track through some World Heritage rainforest – a great place to see cassowaries. Places to stay are Hibiscus Lodge, Licuala Lodge, Mission Beach Resort, Mission Beach Shores Chalets, Mission Reef Resort, Rainforest Apartments, Tropical Escape Bed and Breakfast, and Wongaling Apartments. South of Wongaling is South Mission Beach – a community with a post office and petrol station, barbeques on the beach and beach activities such as jet skiing, game fishing and kayaking. You can also hire a boat and get around on the water, or rent a bicycle and hit the roads. South from the beach is the coastal Edmund Kennedy Walking Track, and inland is the Hull River National Park where you can do some hiking in the World Heritage rainforest and hopefully see the cassowaries that this area is so famous for. 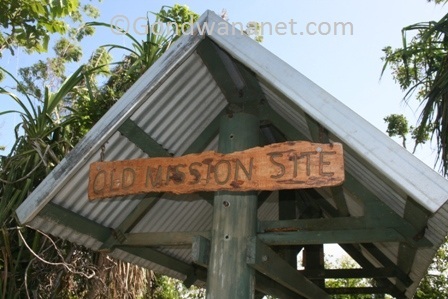 North is the Old Mission site – the site of Aboriginal mission established here in the beginning of 1900s, which gave name to Mission Beach. Places to stay in this area are Apollo Jewel Apartments, Cassawong Cottages, Montage Beach Apartments, The Elandra Resort, and Coconut Village Caravan Park. Here's a map of Mission Beach, where I have tagged the places that I mentioned on this web page. You can click on the tags to see what places they are, and double-click anywhere on the map to zoom it in and see the places closer. Drag the map to move around, and if you want to see the satellite image with Google Earth, click on "Sat" in the top right hand corner.